Nuvo-6108GC-IGN is one of the world’s first industrial-grade in-vehicle GPU computing platform supporting high-end graphics cards. It’s designed to fuel emerging GPU-ccelerated applications, such as artificial intelligence, VR, autonomous driving and CUDA computing by accommodating 250W NVIDIA® GPU. Leveraging Intel® C236 chipset, Nuvo-6108GC-IGN in-vehicle GPU computer supports Xeon® E3 v5 or 6th-Gen Core™ i7/ i5 CPU with up to 32 GB ECC/ non-ECC DDR4 memory. 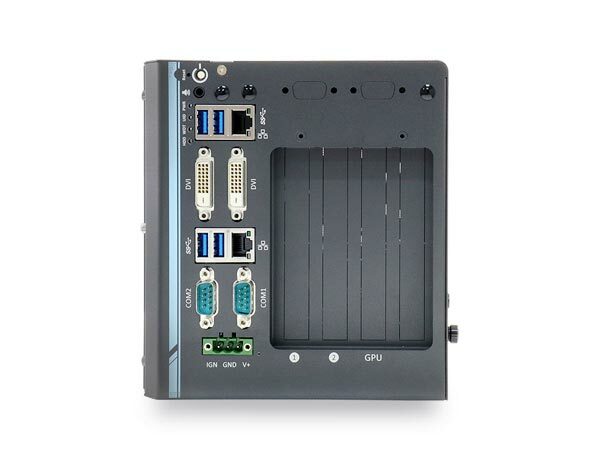 It incorporates general computer I/O like Gigabit Ethernet, USB3.0 and serial ports. In addition to the x16 PCIe port for GPU installation, Nuvo-6108GC series also has two x8 PCIe slots so you can install additional high performance expansion card with high bandwidths for data collections/ analytics and communication. Nuvo-6108GC-IGN comes with sophisticated power design to handle heavy power consumption and power transient of a 250W GPU. Furthermore, to have reliable GPU performance for industrial environments, Nuvo-6108GC series utilizes Neousys’ patented design*, a tuned cold air intake to effectively dissipate the heat generated by GPU. 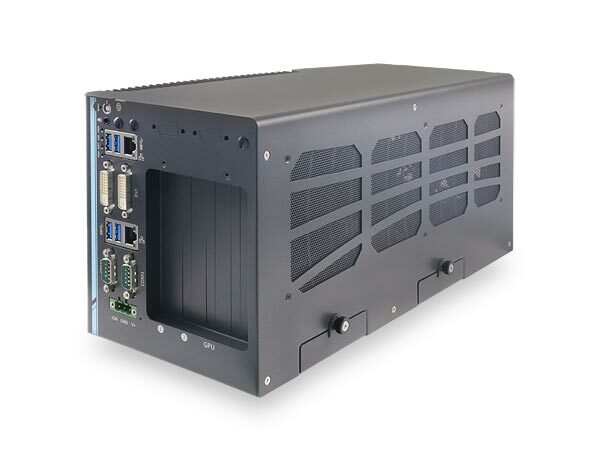 This unique design guarantees operation at 60°C under 100% GPU loading, making Nuvo-6108GC series extremely reliable for demanding field (such as in-vehicle condition) applications. 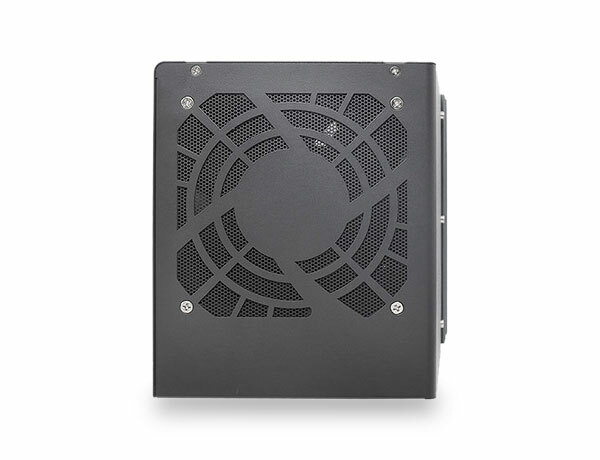 The new Nuvo-6108GC-IGN in-vehicle GPU computer features built-in ignition power control and two of its three 2.5″ drives come with Neousys’ patented easy-swap trays for simple HDD/ SSD replacement. * The CPU loading is applied using Intel® Thermal Analysis Tool. For detail testing criteria, please contact Neousys Technology. ** For sub-zero operating temperature, a wide temperature HDD drive or Solid State Disk (SSD) is required. Voltrium Systems is a value-added distributor for machine vision components. We offer quality technical support and quality products at cost-effective prices. Please do not hesitate to contact us at [email protected] for more information or simply give us a call at +65 6694 6278 for more assistance. To know more or be updated on our products, join our mailing list! Copyright © 2018 Voltrium Systems Pte Ltd. All Rights Reserved.